Twitter Cuts Off LinkedIn, So Who’s Next? Throughout Twitter’s infancy, the company had a loose philosophy toward its APIs. In the quest for a user base, developers were welcome to do much anything they wanted in integrating with Twitter, which often mean creating spin-offs that muddied Twitter’s original intended experience. 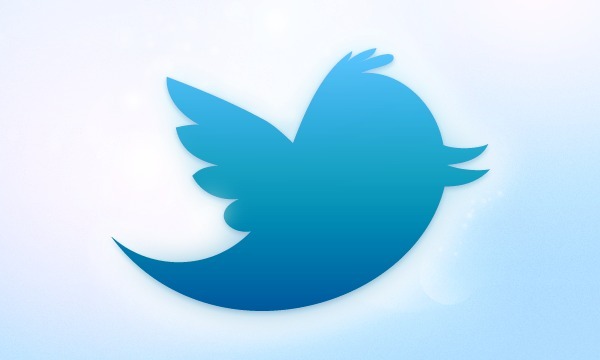 Six years later, Twitter has grown up. And as the 140-million-plus user service continues to expand to reach main stream audiences, Twitter knows it needs to assert and define itself more than ever. Which is why when it was announced on Friday that Twitter had ended its tweet syndication partnership with LinkedIn, it signaled Twitter’s continued shift towards controlling the way users experience their tweets. Previously, LinkedIn had a deal with Twitter which allowed for syndication of users tweets inside of LinkedIn’s flowing user activity stream. As a result of that syndication, much of the recently added tweet features — expandable tweets, threaded conversations, and the like — weren’t showing up on users’ LinkedIn pages. “Ultimately, we want to make sure that the Twitter experience is straightforward and easy to understand,” wrote Twitter consumer product lead Michael Sippey in a company blog post, “whether you’re on Twitter.com or elsewhere on the web.” Losing Twitter could hurt LinkedIn’s user engagement, as much of the content flowing through users’ feeds were integrated tweets. LinkedIn assures me, however, that its social news service LinkedIn Today — which was originally powered in part by Twitter — won’t be affected. “Tweets have not been powering LinkedIn Today for some time” a LinkedIn spokeswoman told me. “…we’ve already begun to more thoroughly enforce our Developer Rules of the Road with partners, for example with branding, and in the coming weeks, we will be introducing stricter guidelines around how the Twitter API is used,” Sippey wrote. As Twitter matures, tightening the reigns makes sense. LinkedIn’s deal, and other syndication deals like it, essentially work against the entire aim of what Twitter has been trying to accomplish over the past eight or so months. Recall the launch of the “new, new” Twitter, a major visual and conceptual overhaul of the service which aimed to make it more accessible to the uninitiated. It cut through the jargon that has sprung up naturally in the Twitter ecosystem, instead relabeling different sections as “Connect, Discover and Home.” Viewing decontextualized tweets from inside a partner site, then, loses much of the value Twitter has tried to add. Not to mention the potential consequences on mobile monetization, an area where Twitter seems to have excelled where many others have failed. If Twitter experiences on third-party mobile clients lack the same monetization potential as that of Twitter.com and its native apps, it could be a huge pain point for the company’s business. Flipboard, for one, comes to mind. After a user authenticates their social profiles with Flipboard, the app pulls content from disparate sources across the web — Facebook, RSS, Google+, and yes, Twitter — in the form of URLs, and re-paginates the information in Flipboard’s own custom layout. While the result is a rather attractive social magazine, it displays third party content in a very distinctive, very Flipboard way. And it looks nothing like tweets which show up on Twitter.com. “How users consume and use Twitter is a key part of its future, and that is what Flipboard does well already,” one person with knowledge of the situation told Swisher. “There is going to be an inevitable crossroads for the two companies,” this person said. Speculation at the time — including my own — involved Twitter’s potential acquisition of Flipboard in order to bolster the microblogging platform’s discovery capabilities. But considering Twitter’s recent actions towards LinkedIn, this may not be the case. For what it’s worth, Flipboard tells me this hasn’t been a discussion the two companies have had thus far. As a third-party developer, Flipboard tells me its relationship with Twitter is strong, and it expects the two will continue working together. Take Tweetdeck, the service Twitter purchased a little more than a year ago for $50 million, which basically offers a power-user version of Twitter. Historically, its interface has been drastically different than that of Twitter.com, though in recent months, Twitter has shown a willingness to change that: The company redesigned the app last year, removing a number of features and streamlining others. Twitter didn’t kill or handicap the service immediately, most likely because the company didn’t want to upset TweetDeck’s vibrant community of very vocal users. But it could very well get another throttling or makeover in the coming weeks. Other clients that aren’t as popular — Tweetbot, HootSuite and Seesmic — may not be as safe. HootSuite may even already be preparing for a change; The company just launched a series of new app integrations on Thursday. I doubt, however, that other services which rely on Twitter firehose access for more analytics and enterprise oriented needs — like Topsy, Gnip, DataSift and Klout — have much to worry about. They’re working with vast amounts of data, completely independent of the user experience. Indeed, Topsy and Gnip told AllThingsD that there was no indication either company’s relationships with Twitter would change at all.